Supported by DARPA through Rome Laboratories Contract F30602-97-C-0312, by DARPA and NASA through Contract NAS2-98073, by Office of Naval Research Contract N00014-96-C-0114, and by National Science Foundation Grant CCR-9633363. N. Martí-Oliet and J. Meseguer. Rewriting logic as a logical and semantic framework. In J. Meseguer, editor, Proc. First Intl. 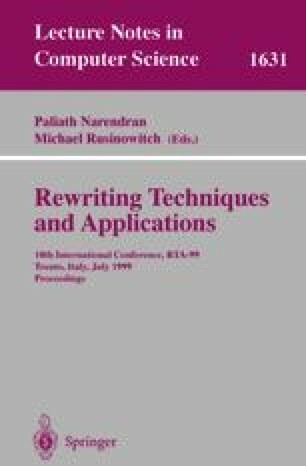 Workshop on Rewriting Logic and its Applications, volume 4 of Electronic Notes in Theoretical Computer Science. Elsevier, 1996. http://www1.elsevier.nl/mcs/tcs/pc/volume4.htm.